Kirk Monson and Jeff Zahrt from MVP Video Production recently stopped down at the Cedar Rapids Downtown District to donate some of the proceeds from the movie which they produced and directed, “Resilience; The Spirit of Humanity”. The movie “Resilience, The Spirit of Humanity” is about the 2008 flood in Cedar Rapids, and more specifically about the people that were dealing with the flood waters. 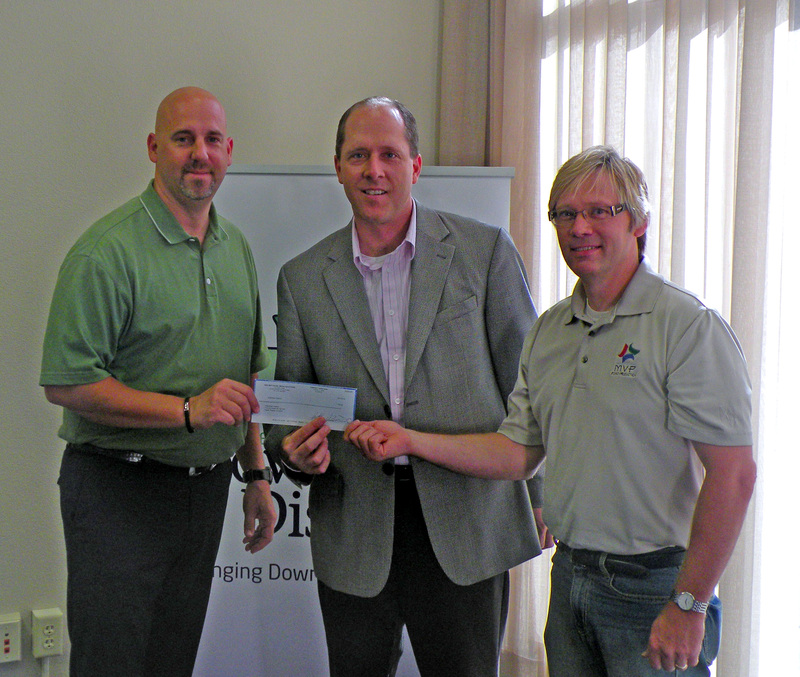 In the picture below, Kirk and Jeff are handing Doug Neuman of the Downtown District a check for $100.